87-M members, staff and leadership are saddened by the news of long-time union activist Bruce Hain passing away the week of January 14, 2019 after medical complications. Hain started at Metroland in 1996 at the Simcoe Huronia Business Times as a section editor and continued with the company until 2014 when he retired from the Barrie Advance/Innisfil Journal. During his Metroland time, he served in various union roles, including Unit Chair from about 2008-2014 and participated in several rounds of contract negotiations. After retiring, Hain moved from Stroud (near Barrie) to the Midland area (Lafontaine) with his wife, Lesley, who passed away in March, 2017. The couple had one son together, Matthew, and a dog named King Boo. Outside of journalism, labour activism, and his family, Hain was a big fan of 1960s and ’70s British rock. Hain was a lifelong fan of classic British Rock. 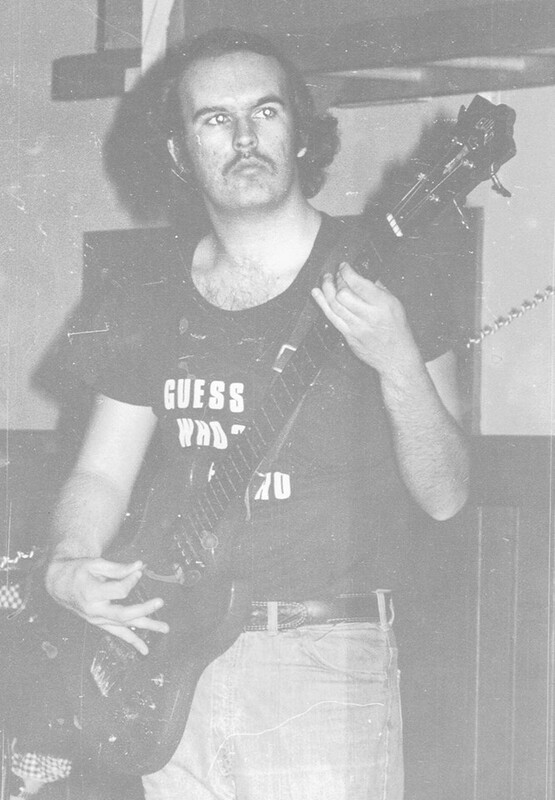 Here, a younger Hain plays bass. Even after retirement, he made sure to maintain his membership in Unifor Local 87-M.
“Bruce was a passionate defender of the rights of his fellow workers at Metroland, both at his Barrie Advance unit and across the chain,” recalls Local Union Representative Brad Honywill. A memorial service will take place in the spring, with details yet to be announced.